Fire Protection Engineers, like their counterparts in other engineering and scientific disciplines, undertake a formal course of education and continuing professional development to acquire and maintain their competence. This education typically includes foundation studies in mathematics, physics, chemistry, and technical writing. Professional engineering studies focus students on acquiring proficiency in material science, statics, dynamics, thermodynamics, fluid dynamics, heat transfer,engineering economics, ethics, Systems in engineering, reliability, and environmental psychology. Studies in combustion, probabilistic risk assessment or risk management, the design of fire suppression systems, the application and interpretation of model building codes, and the measurement and simulation of fire phenomena complete most curricula. New Zealand was one of the first countries in the world to introduce Performance based assessment methods into their building codes in regard to fire safety. This occurred with the introduction of their 1991 Building Act. 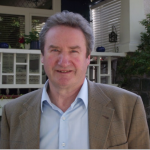 Professor Andy Buchanan, of the University of Canterbury, established the first post graduate and only course available in New Zealand, at the time, in fire safety engineering in 1995. Applicants to the course require a minimum qualification of a bachelor’s degree in engineering or bachelor’s degree in a limited list of science course. Notable alumni from the university of Canterbury include but is not limited to Sir Ernest Rutherford, Robert (Bob) Park, Roy Kerr, Michael P. Collins, John Britten and many others. A master’s degree in fire engineering from the University of Canterbury is recognized under the Washington Accord. In the United States, the University of Maryland (UMD) offers the only ABET-accredited B.S. degree program in Fire Protection Engineering, as well as graduate degrees and a distance M.Eng. program. Worcester Polytechnic Institute (WPI) offers an M.S. and a Ph.D. in Fire Protection Engineering as well as online graduate programs in this discipline (M.S. and a Graduate Certificate). As of 2011, Cal Poly offers an M.S. in Fire Protection Engineering. Oklahoma State Universityoffers an ABET-accredited B.S. in Fire Protection and Safety Engineering Technology (established in 1937), the Case School of Engineering at Case Western Reserve University offers a master’s degree track in Fire Science and Engineering, and the University of Cincinnati offers an associate degree in Fire Science and a bachelor’s degree in Fire and Safety Engineering Technology as distance learning options, the only university in the U.S. and Canada to hold this distinction.Other institutions, such as the University of New Haven, University of Kansas, Illinois Institute of Technology, University of California, Berkeley, Eastern Kentucky University, and the University of Texas at Austin have offered courses in Fire Protection Engineering or technology. The practice of final fire sprinkler systems design and hydraulic calculations is commonly performed by design technicians who are often educated in-house at contracting firms throughout North America, with the objective of preparing designers for certification by testing by associations such as NICET (National Institute for Certification in Engineering Technologies). NICET certification is commonly used as a proof of competency for securing a license to design and install fire protection systems. In Europe, the University of Edinburgh offers a degree in Fire Engineering and had its first fire research group in the 1970s. These activities are now conducted at the new BRE Centre for Fire Safety Engineering. The University of Leeds uniquely offers an MSc award in Fire and Explosion Engineering. Other European Universities active in the fire engineering are Luleå tekniska universitet, Lund University, Stord/Haugesund University College, University of Central Lancashire,University of Manchester, University of Ulster, University of Sheffield, University of Greenwich, London South Bank University, University of Wales, Newport, Letterkenny Institute of Technology in Ireland and Otto-von-Guericke-Universität Magdeburg and Bergische Universität Wuppertal in Germany,Vilnius Gediminas Technikal University in Lithuania. The University of Ulster introduced its first fire safety programmes in 1975, followed by the first MSc Programme in Fire Safety Engineering in the United Kingdom introduced in 1990. In 2005 the this MSc Programme will celebrate 25 years of unbroken service to higher fire fire safety engineering education. In 2004 the Institute for Fire Safety Engineering and Technology at the University of Ulster FireSERT occupied its new fire safety engineering laboratories which were funded by £6 million pound Infrastructure Award. The new facilities are state of the art fire safety engineering laboratories including a large scale burn hall and a 10 megawatt calorimeter. In Australia, Victoria University in Melbourne offers postgraduate courses in Building Fire Safety and Risk Engineering as does the University of Western Sydney. The Centre for Environmental Safety and Risk Engineering (CESARE) is a research unit under Victoria University and has facilities for research and testing of fire behaviour.